South Africa’s kingpin on the court moves a spot up in the latest world rankings. 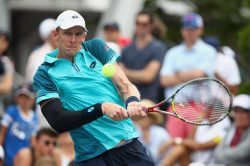 South Africa’s Kevin Anderson has moved up one place to 16th in the ATP rankings. 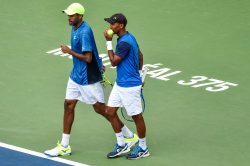 South Africa’s doubles ace and partner Rajeev Ram struggled completed a so-so week for the country in China. South Africa’s leading men’s player suffered defeats in both the singles and doubles but reliable Raven is still in the hunt. But he did drop a spot. 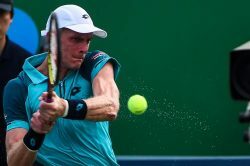 South Africa’s leading tennis player is the wrong side of 30 but he believes he’s actually going to only get better. 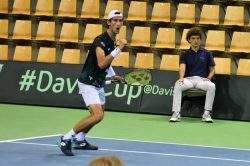 20-year-old Lloyd Harris has tongues wagging yet again after he led SA’s charge in their Davis Cup promotion tie against Denmark. Young Lloyd Harris clinches a vital singles tie to even things out against Denmark. There’s a new wave of optimism as the Danes also state that Marcos Ondruska’s men are the favourites. 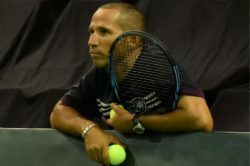 The US Open finalist could finally be back in South African colours in the Davis Cup soon, hints assistant coach Jeff Coetzee. 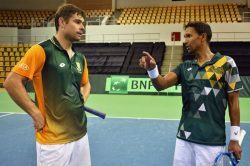 A former top doubles player, he adds great experience as South Africa tries to climb up the ladder again. The local governing body seems to have newfound accountability and is keen to rebuild the sport again on the back of Anderson’s success. South Africa’s tennis kingpin was outclassed in the US Open final against Rafael Nadal but he’s hardly downbeat. 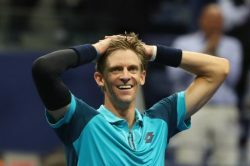 The lanky bullet server the talk of the tennis town at the moment after surging into the final of this year’s US Open. 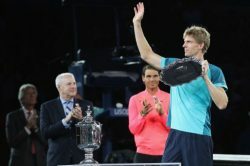 He becomes the first South African in 52 years to reach the showpiece match but has Rafael Nadal standing in his way. 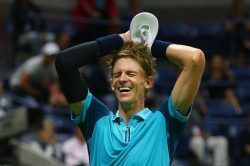 South Africa’s tennis star is wary of his US Open semifinal opponent, Pablo Carreno Busta, but is dream is eminently realistic. South Africa’s first Grand Slam semifinalist for 14 years took a leaf out of an old book to play himself into this position. He’s the first South African to reach that stage in a Grand Slam since Wayne Ferreira in Australia in 2003. 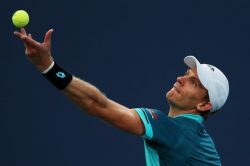 The lanky South African reaches the quarterfinal stage for the second time in three years ar Flushing Meadows. 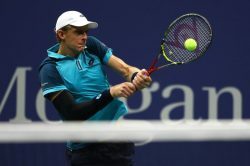 After lengthy battles with hip and leg injuries, South Africa’s Kevin Anderson reached the US Open quarter-finals on Sunday, laughing off his latest ailment — a broken nail ripped off his right foot. But now comes the hard part for him: the fourth round, the stage where he tends to stumble a lot in Grand Slams. 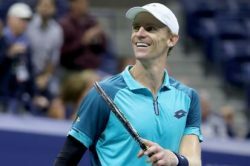 South Africa’s leading men’s tennis player has made a fine start to the US Open and wants to go further … for his brother, Greg.